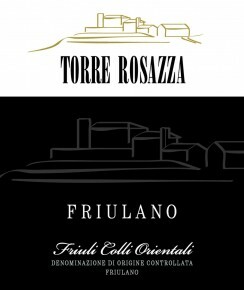 The region’s enological flagship, Friulano is the most widely planted grape in Friuli. To the palate it is full-bodied and robust, yet maintaining an optimal balance between freshness and softness. Aromas are clear-cut and well-defined: meadow flowers, jasmine and pear balanced by its typical minerality. Often served as an aperitif, Friulano pairs extremely well with cold-cuts (try Prosciutto San Daniele), fresh, fatty cheeses, and it is excellent when served with fish, risotto and omelettes. Destemmed grapes are pressed softly and macerated at low temperatures. Alcoholic fermentation occurs in stainless steel. The wine rests on yeasts for approx. 4 months plus 2 months in bottle.